"Privately, I let my opinion be known and agreed to disagree. That day after practice I chose not to be divisive. Prob went too far." 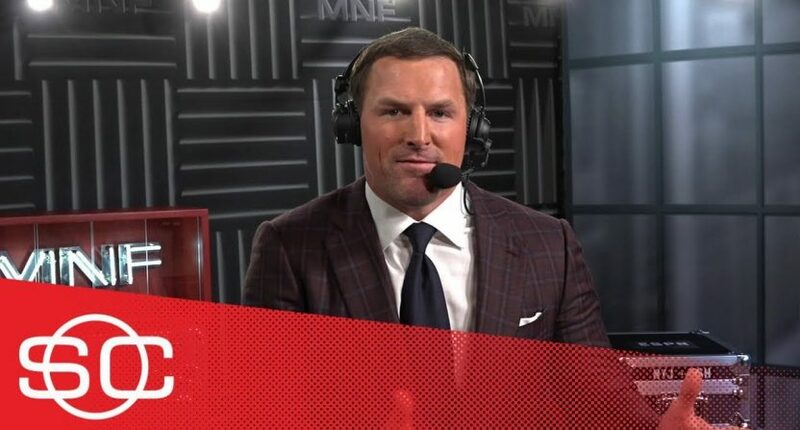 Regularly–criticized Monday Night Football color commentator Jason Witten actually earned some plaudits this week for his condemnation of the Redskins claiming Reuben Foster after the 49ers released Foster following his second domestic violence arrest in a year. However, Witten then took some criticism based on how those comments compared to Witten’s previous remarks in support of the Cowboys signing Greg Hardy in 2015 (after Hardy had been found guilty of assaulting his ex-girlfriend; Hardy later appealed and saw those charges dropped after his accuser didn’t testify in the appeal). And now, he’s addressing that criticism. Still, people can learn from their mistakes, and Witten noting that he “probably went too far” in his 2015 comments about Hardy seems like at least a step in the right direction. And it’s probably better to have Witten criticizing the Foster move now if that’s how he feels about it instead of just sticking with the comments he previously made about Hardy. But taking three days to address this isn’t the greatest look in the world, and Witten might have been smarter to address his Hardy comments on the broadcast as well and explain why he had praise for Hardy after that signing. It’s good to see him discussing this now, but it’s not exactly a prompt response to the criticisms he took, or one that totally answers them.